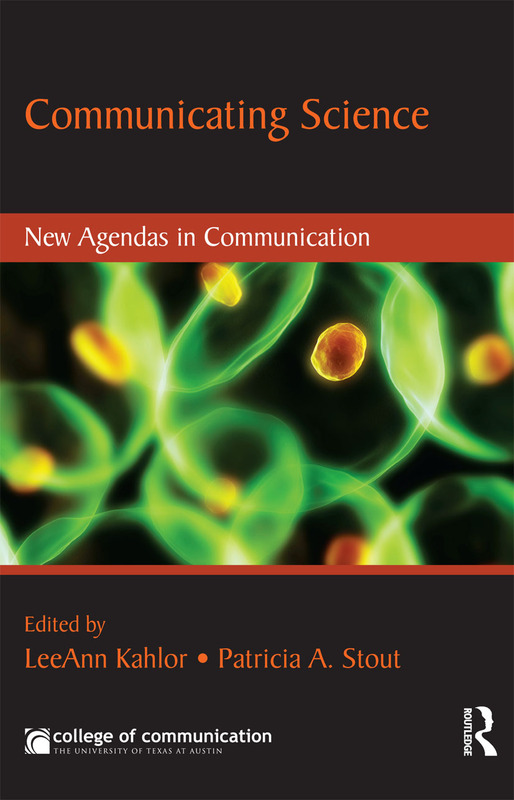 This volume explores the evolution of science communication, addressing key issues and offering substance for future study. Harnessing the energies of junior scholars on the forefront of science communication, this work pushes the boundaries of research forward, allowing scholars to sample the multiple paradigms and agendas that will play a role in shaping the future of science communication. Editors LeeAnn Kahlor and Patricia Stout challenge their readers to channel the energy within these chapters to build or continue to build their own research agendas as all scholars work together – across disciplines – to address questions of public understanding of science and communicating science. These chapters are intended to inspire still more research questions, to help aspiring science communication scholars locate their own creative and original research programs, and to help veteran science communication scholars expand their existing programs such that they can more actively build interdisciplinary bridges. Crossing methodological boundaries, work from quantitative and qualitative scholars, social scientists and rhetoricians is represented here. This volume is developed for practitioners and scholars alike – for anyone who is concerned about or interested in the future of science and how communication is shaping and will continue to shape that future. In its progressive pursuit of interdisciplinary research streams – of thinking outside methodological and theoretical boxes – this book inspires science communication scholars at all levels to set a new standard for collaboration not just for science communication, but for communication research in general.